In addition to the procedure prescribed by the constitution, laws of the Reich may also be enacted by the government of the Reich. This includes the laws referred to by Articles 85 Paragraph 2 and Article 87 of the constitution. 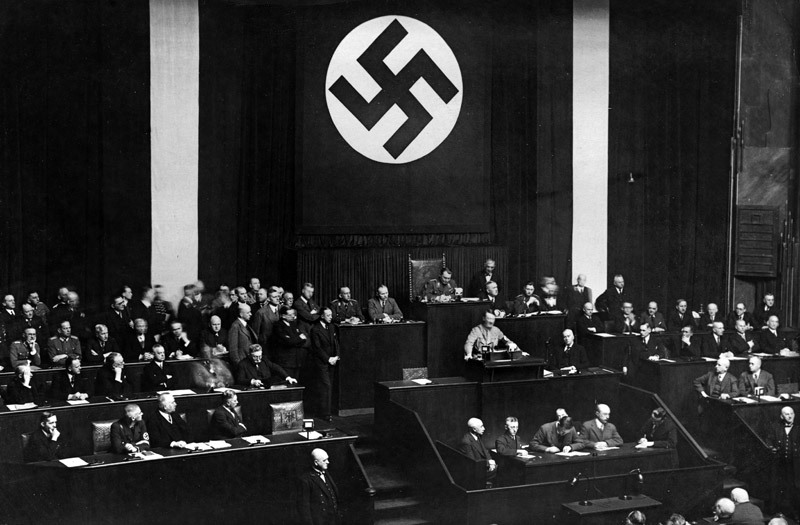 Laws enacted by the government of the Reich may deviate from the constitution as long as they do not affect the institutions of the Reichstag and the Reichsrat. The rights of the President remain undisturbed. 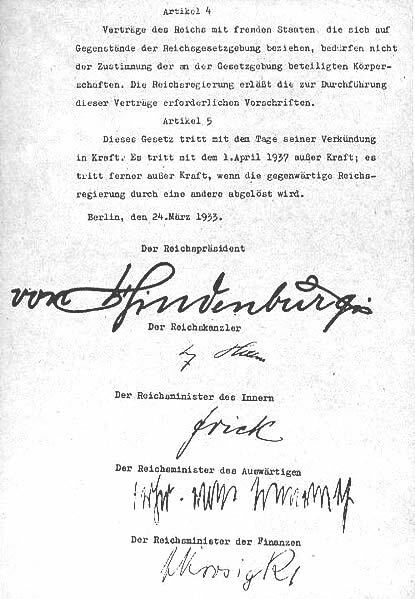 Laws enacted by the Reich government shall be issued by the Chancellor and announced in the Reich Gazette. They shall take effect on the day following the announcement, unless they prescribe a different date. Articles 68 to 77 of the Constitution do not apply to laws enacted by the Reich government. 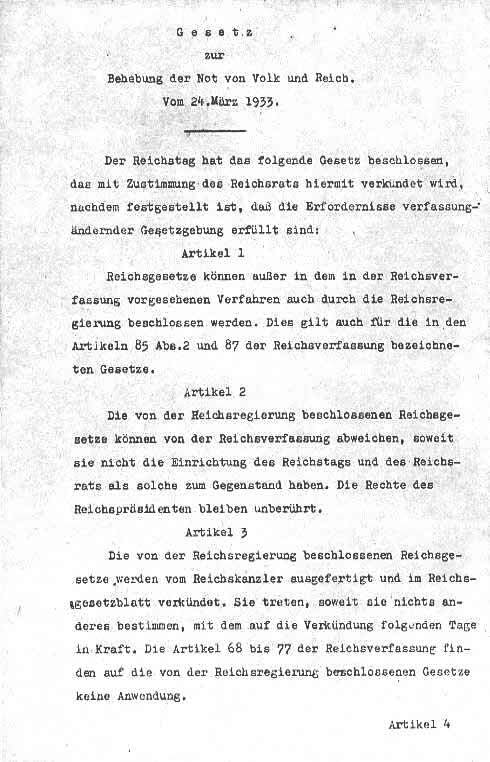 Treaties of the Reich with foreign states, which relate to matters of Reich legislation shall for the duration of the validity of these laws not require the consent of the Reichstag. The Reich government shall adopt the necessary legislation to implement these agreements.